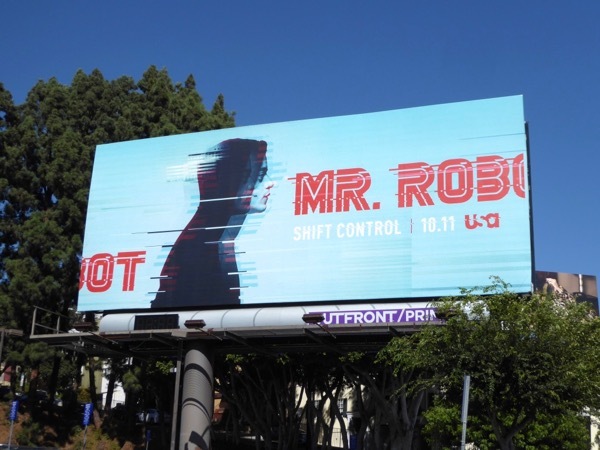 No it's not all in your mind, USA Network's hacktivism drama Mr. 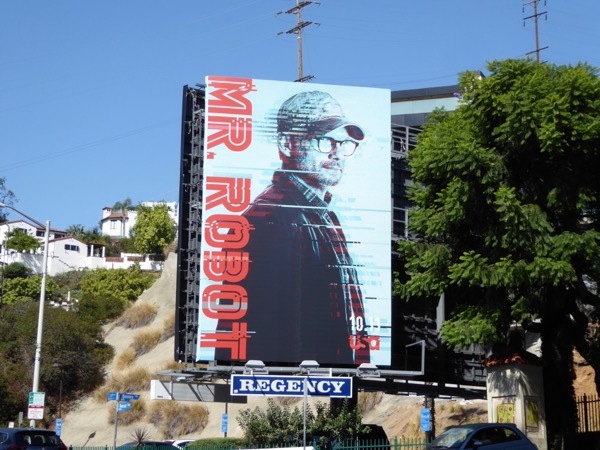 Robot is back for a third season this October. 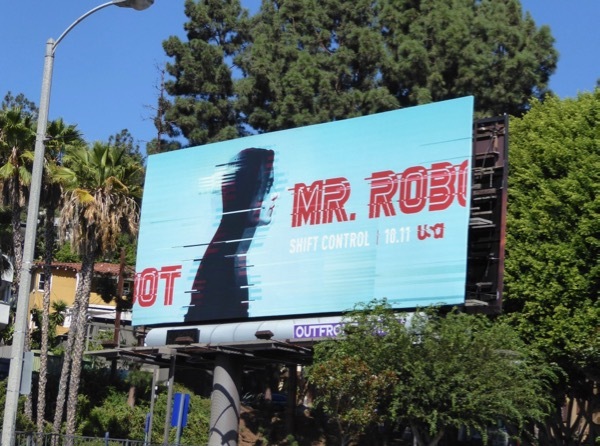 Rami Malek returns as vigilante hacker 'Elliot Alderson' after receiving a bullet to the stomach at the end of season two and Christian Slater is back as a figment of his imagination. These Mr. 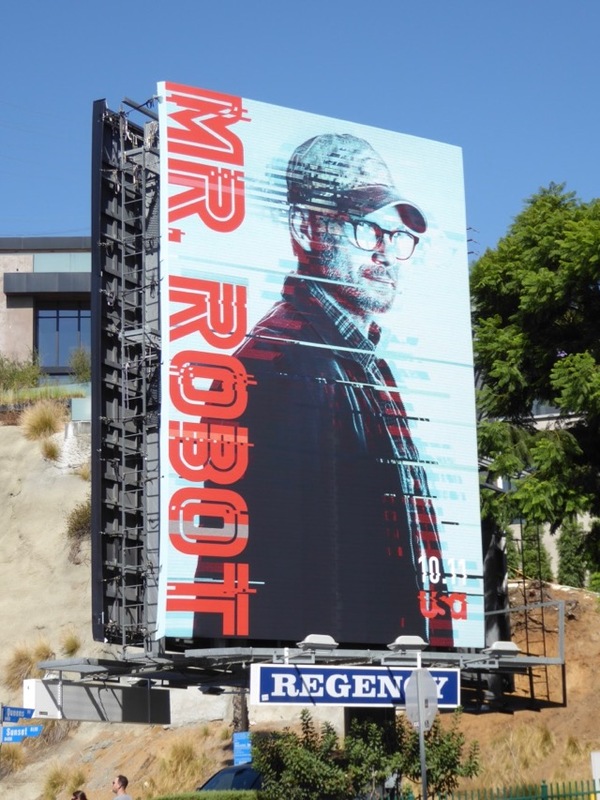 Robot season three billboards were photographed along West Hollywood's Sunset Strip from September 25 to September 29, 2017. 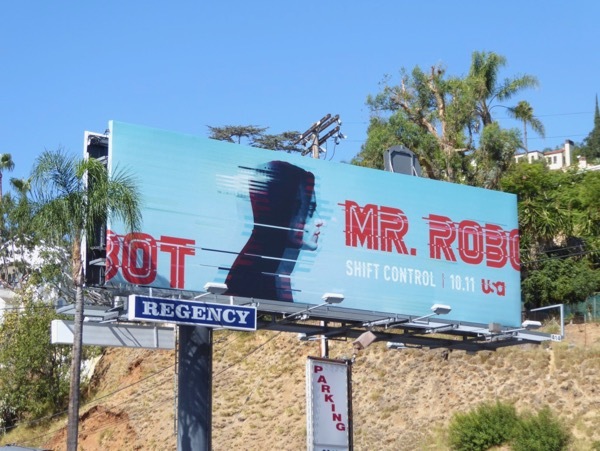 Fans of the show can also enjoy all these previous season promo and awards campaign billboards for Mr. Robot. Corrupt corporations, anarchic hacking collectives, societal breakdowns, are you ready to log on for more mysteries and surreal thrills. Just who will be in control this season?